Wingo advises that a portrait, evidently of the son of the donors of the dental clinic, has arrived, along with a tablet with the subject's name. A. L. Wingo, “Letter to Bessie Bonner from Alice L. Wingo.” Martha Berry Digital Archive. Eds. Schlitz, Stephanie A., Sherre Harrington, Mackenzie Liberta, et al. 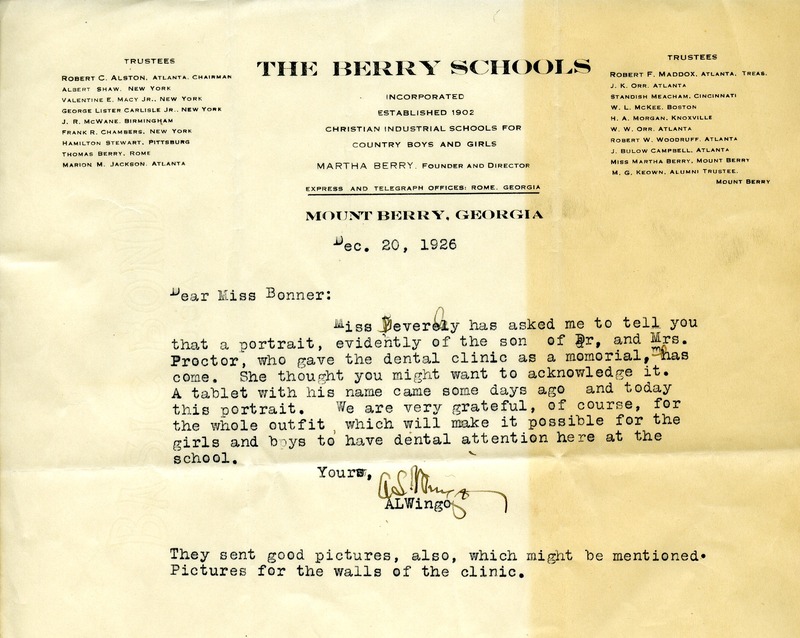 Mount Berry: Berry College, 2012. accessed April 20, 2019, https://mbda.berry.edu/items/show/3589.